Yesterday’s seed collection and planting adventure inspired me to write a haiku about the horse chestnut tree. As I stood underneath the tree, I noticed how its leaves look like large hands and how the casings of the conkers looked like medieval battle flails . Flails are spiky metal balls on chains, used to wield heavy blows and cleave into armour. Because a knight could swing a flail, it could deliver a much more powerful blow than it’s cousin, the mace (and it could also reach over, and around, armour and shields). I have tried to include the idea of the tree having hands, and being loaded with weapons, in today’s haiku. Having read that the conkers are ready for planting when the casings are just splitting open – I squeezed that information in too! 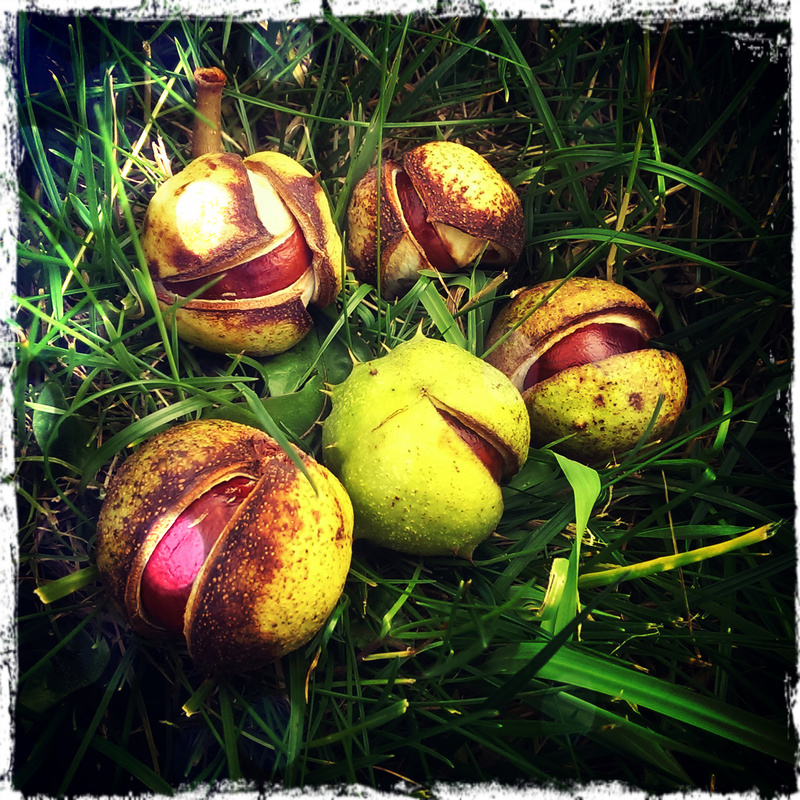 You can read today’s haiku called “Horse Chestnut” here. I also read it out loud on today’s video blog.